Deviled Eggs are an ubiquitous appetizer on Easter brunch tables and we simply love these elegant stuffed eggs from New York caterer Andrea Correale! In her simple yet sophisticated deviled eggs recipe, Correale whips the filling with crème fraîche instead of mayonnaise, giving the eggs an even creamier and more decadent texture. She then tops the eggs with Osetra caviar for extra elegance! It’s the perfect addition to this retro classic hors d’oeuvres recipe. 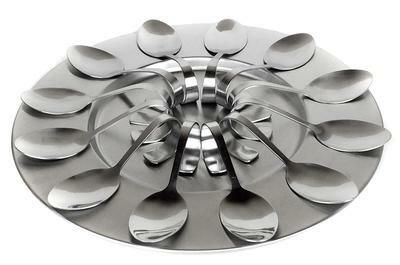 Serve the deviled eggs on individual tasting spoons for a lovely presentation (see below). Get Andrea's Bacon Avocado Deviled Eggs recipe here and discover even more deviled egg recipes here. Step 1. Slice eggs in half lengthwise; remove yolks, reserving whites on a serving platter. Step 2. Place still-warm yolks in a small bowl, and mash with a fork. Step 3. Add crème Fraiche, mustard and finely sliced chives, and continue mashing until very smooth. Step 4. Season to taste with salt, pepper and cayenne. Cut remaining chives into pieces 1/2 inch long. Step 5. Pipe or scoop mix into saved egg white cups, fill it completely and make a small walnut-size mound above the white. Step 6. 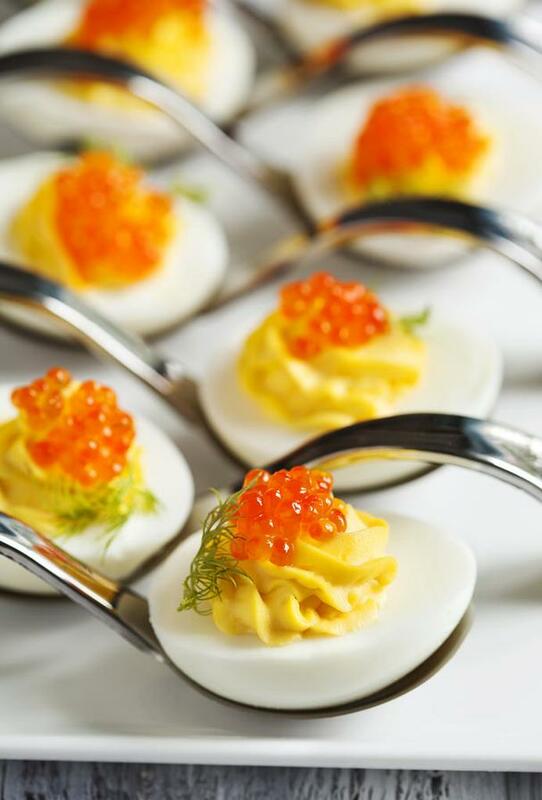 Before serving, spoon a little caviar on top of each egg and garnish with pieces of sliced chive.